Here’s what I think the Moxie Squad will want for Christmas and will want to buy for their friends and family! Featured in People! Click the photo for more. 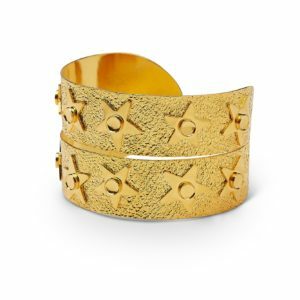 Let’s start with some of my favorites from Stella and Dot! 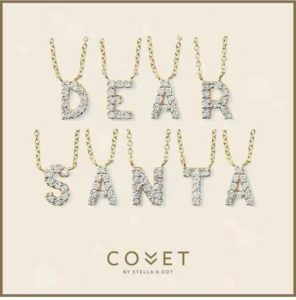 Their COVET collection is delicate and decadent. Initial letters and darling icons (Hey, PiPhi sisters, they have a pave diamond ARROW!!!!) make these lovely gifts alone or in multiples. Stella and Dot also has some spectacular clutches for all your holiday occasions. They are so reasonable and really unique. From TAJ (check HERE to see her), to the Mermaid skin foldover bag shown below, they have a bag for date night and holiday parties and all budget-friendly. Playing with the sequined “mermaid skin” changes the color from black to pewter. Click the photo to order. A crisp chill is in the air, but not every outfit or occasion is meant for a full coat, am I right? 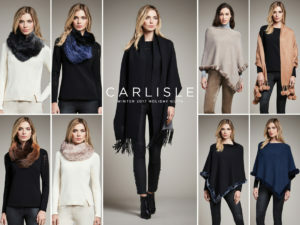 Carlisle Collection has some gorgeous ponchos, scarves and accessories for the stylish woman that are truly LUXE. Fur pom poms and cashmere knits let her know how special and stylish you think she is. 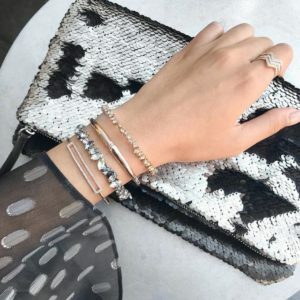 Details on each of these stunning accessories in the photo. 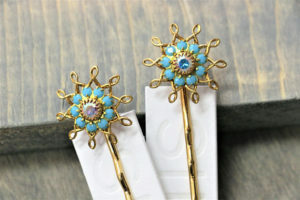 How lovely are these pins to accent holiday hair? Many more items available by clicking the photo! I’ve you’ve spent any kind of time around Moxie Mama, you’ve learned that I am OBSESSED with Wonder Woman! From my childhood with Lynda Carter to the reboot with Gal Gadot, I dream of possessing super powers. Be your own super SHERO in Wonder Woman by Sandra Cadavid. Click the photo for all the detail. What if you didn’t even NEED the Wonder Woman mojo? What if you felt totally empowered even on a casual day. Raising a strong daughter? Have a son who supports women’s rights? This grouping of tees from Cotton Bureau (another local business I just love!) 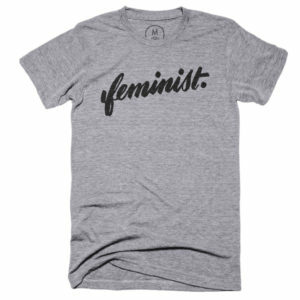 is all about girl power and feminism. The softest and best-fitting graphic tees I’ve seen, Cotton Bureau also has a super selection of girl-centric themes I’m loving. See this and more by clicking the photo. 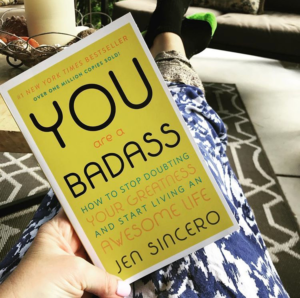 For the woman who maybe hasn’t been feeling her strongest, or perhaps someone who has plans for a really bada$$ 2018, this book is a fantastic guide to channeling your own inner strength. Read this over the summer and highly recommend it to jumpstart her 2018. Details in the photo. At my age, I am compulsive about skin care. As an ambassador for Vu Skin System, I love their eye cream (I’ve talked about it a TON because it’s unique that it can be worn on the upper lid also). My eyes look fresh and rested night and day, and the price of this item makes it a no-brainer for the stocking. click the photo and use code SAMD20 for 20% off your first order. This next item is a fabulous gift for yourself or others. Seems odd to put oil on your face, right? 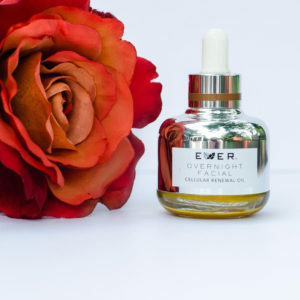 But the Overnight Facial from EVER is EVERYTHING!!!! It’s the perfect boost for my daily regimen when the heater goes on. Click HERE to get a code for $10 off your first order, then click through the photo below to buy! You, or your loved one, will not regret it! 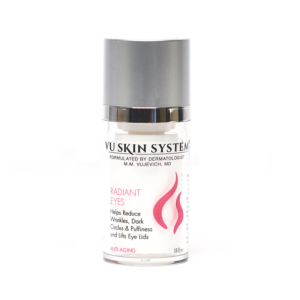 Your skin will feel extra boosted. Get your code above and click to grab your overnight facial! 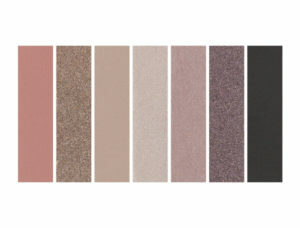 seven colors per palette and multiple options on palettes. Click the photo to see your options! I think these colors are so perfect for everyday AND holiday! Click on the image to check this out! Don’t let the name of this category fool you, I may have saved the best for last. These are amazing hostess gifts and things that have super universal appeal. Then round out the holidays with “Wine Under the Tree” (click the photo for details). These make a fantastic and decadent hostess gift, or something to TREAT YO SELF with. 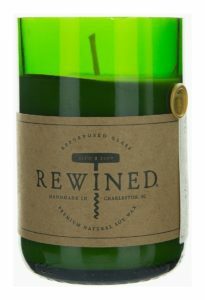 Whether it’s a hostess gift or you’re wrapping late night with a glass of vino, this is a fantastic and eco-friendly candle option. Click the photo for more info. Who remembers the Summer Bucket List? What if you could plan in December for your epic summer adventure? 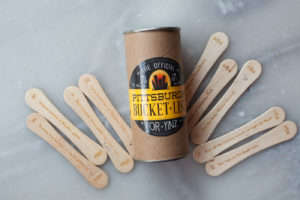 These popsicle-stick-bucket-list-challenges are a super family gift (maybe even if you do the pickle ornament on your tree, this could be the prize????) This is the Pittsburgh Version below. From riding the incline to eating a Primanti’s sandwich, this fun family game will tee up an epic summer for you. 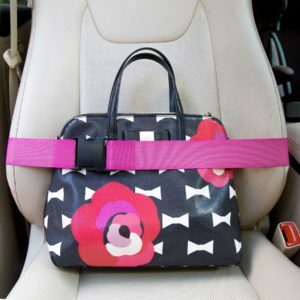 And last, but absolutely NOT least…..
Ladies, HOW many times has your purse gone FLYING when you hit the brakes in the car??? My dear friend Kristine has SOLVED OUR PROBLEMS!!!! Don’t you wish you had invented this like my friend Kristine did???? click the photo to order one for you and each of your friends. Use code Moxie10 for 10% off your order!!!! This is NOT a drill, people! We all know the pain of having a grocery bag, purse, whatever–spill out everywhere. I know it seems basic, but I am OBSESSED with this simple tool that keeps me organized in my car! Kristine has decided to give the Moxie Squad 10% off so make sure you use your code! Well, I hope you find something fun and different from my first ever gift guide! Don’t forget that I do offer personal style sessions and personal shopping as well (with gift cards for use at a future date)! My favorite has to be the feminist shirt... and the poncho... and the jewelry! Haha. So many great picks you got! I might have to add some to my wishlist! Thank you so much! Always appreciate the feedback and I'm glad you found some things you like!